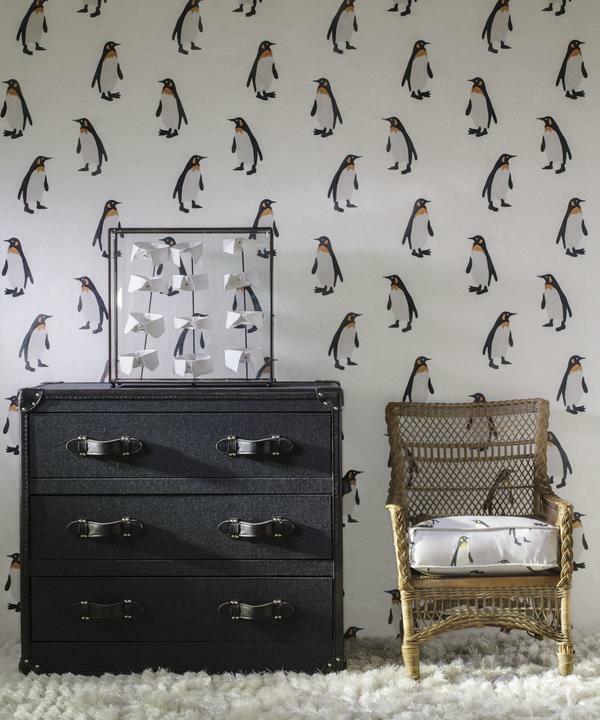 A charming penguin design wallpaper featuring two characterful, hand-drawn penguin friends created with a flock and surface print process so their black feathers stand out from the paper in furry finish. Put on your tux and meet these two in Antarctica. 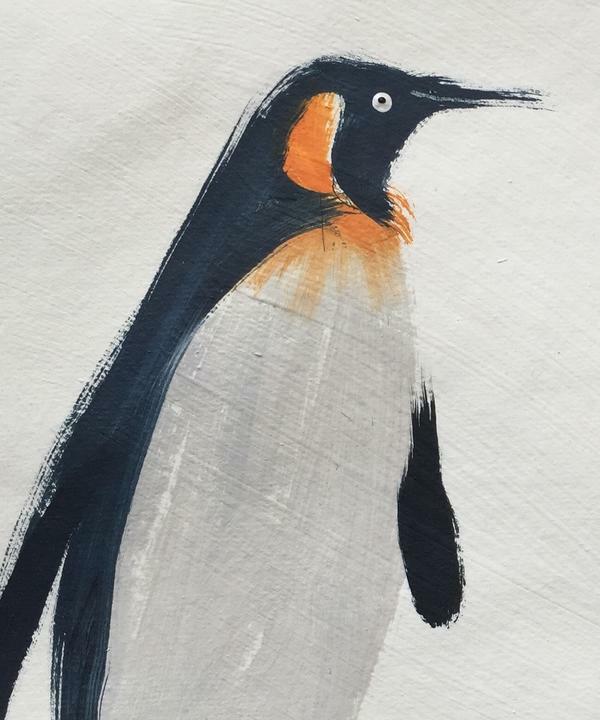 Emperor pays tribute to the majestic emperor penguins of Antarctica. Watch these two greet each other, the first with his beak slightly open as if speaking to his partner, who receives the news with wide-eyed assent. 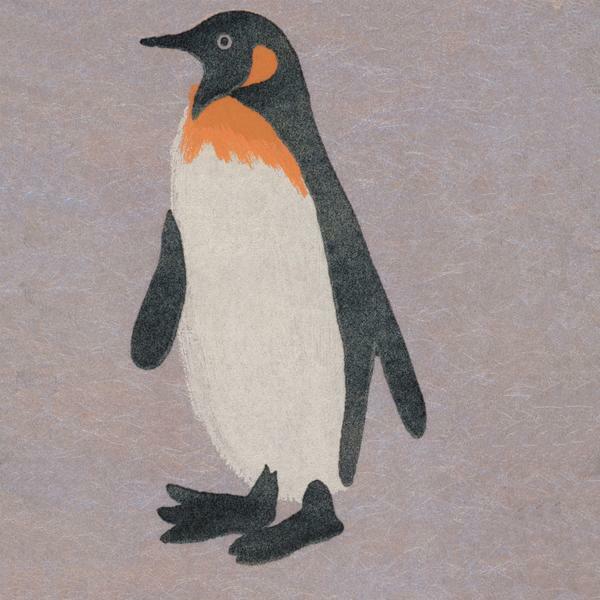 Emperor has a textured background in frost, pink, blue or storm and the black of the penguins are in subtly glittered flock, hinting at their snow-speckled feathers. A beautifully unique wallpaper that will give character and pizzazz to your room.